If you live in the Atlanta area and need a new Chevy vehicle, the number of available Atlanta Chevy dealers can seem overwhelming. Which one do you go with? Which one has the best inventory and customer service? How do you know you will make the right choice and get the car you truly need or deserve? These are all questions that many people looking for a new car try to answer before making the big choice. Finding a good dealership is a lot like finding the right car itself. You have to know that you’re making a good decision in order to feel confident. No dealership is the same as the competition. All dealerships have slightly different offerings and services that may or may not be important to you. 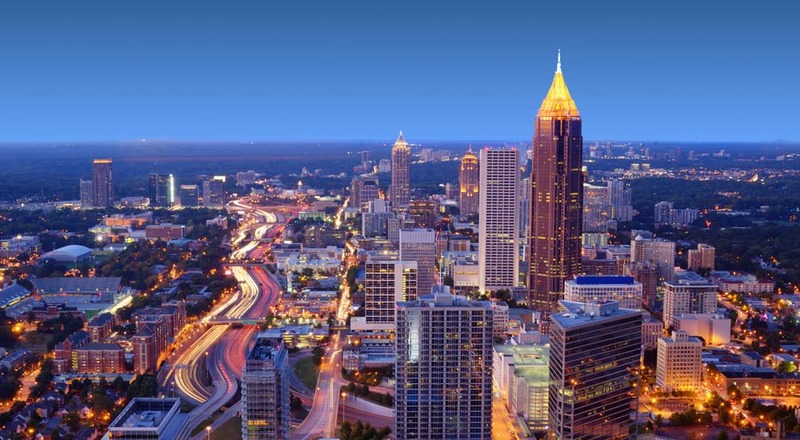 To find the right dealership near Atlanta, you have to do a little bit of research in order to understand what you can expect in the long run. Carl Black Kennesaw understands this better than most. We have been in this business for many years and have seen how other dealerships miss the mark in providing the necessary information to potential customers ahead of time. For some, the most important thing is getting you in and out the door with a new car purchase. Sometimes, a dealership may even sacrifice understanding what you want or need for a quick sale. This is not how Carl Black does business. For years, we have helped thousands of customers find the right Chevy, GMC, or Buick vehicle. We like to take the time to understand what you need or want from your next purchase. We also take extra steps to make sure we get you the best price, deals, service, and accessories. In other words, we offer more than just a great quality vehicle. We keep this inventory up-to-date with all the latest Chevy, GMC, and Buick models in the current model year. We also like to stock a number of different trims so you can see firsthand the minute differences between different options. Naturally, any model on our lot is also available to test drive so you can experience the feel of the vehicle. It’s important to get that personal experience with each car, truck, and SUV we offer so you know exactly how the vehicle handles. If you don’t want to come down to our dealership in person, our entire inventory is also available online and kept up-to-date. All you have to do is visit our website to see any of the models and trims we have in stock. You will also get important information such as the price, features, options and accessories, and more. This way, you can see what Carl Black may have for you before coming down for a test drive. You can also compare different models right from the comfort of your own home if you don’t know what options would be best for you and your needs. Being one of the best Atlanta area Chevy dealerships means we have to think beyond the car itself. In order to really serve you, the customer, we have to make sure we have you covered in other ways. This is why we have one of the best service centers available in the Atlanta area. The next time your car, whether it is a GM brand or not, needs service or repair work, Carl Black is the best choice. We have excellent service people and mechanics around to make sure your car is well taken care of in a timely manner. We use nothing but the best parts when it comes to making repairs and upgrades. Most of our replacement parts come straight from the manufacturer so we can ensure proper compatibility without the possibility of any issues in the future. There are also several parts and accessory upgrades we can provide if you want to improve your ride any way you see fit. All the work done through the service center comes from qualified, certified service people. We hire nothing but the best mechanics who have years of experience working on GM vehicles. This means they know each model and trim like the back of the hand. In combination with advanced diagnostic and repair equipment, they know how to find issues quickly and get them repaired. This will keep your wait time down so you can continue on with the rest of your day with a fully functional, smooth running vehicle. At Carl Black, we understand that purchasing a new car, truck, or SUV is an expensive buy. It would be simple if everyone had the cash to pay for their new vehicle, but that is not a realistic expectation for most of our customers. When you need a new vehicle but struggle to find the money to get by month-to-month, it can even feel impossible to afford a new vehicle in the first place. Rest assured, however, we take every step possible to get you the vehicle you need within a realistic budget. We do this through our fantastic financing center. Between different options for auto loans and lease agreements, our financing staff knows how to find the best way for you to buy the vehicle you want. They can also help you navigate the often complicated process of applying for different auto loans. They will be there on hand to answer any questions you may have, provide the necessary information you need, and keep you on track in a stress-free way. We also work with a number of local financing providers to make the process even easier. Using our financing department, all you have to do is come to the dealership to fill out a single application. Once you have provided some basic financial information, we can get you instantly approved with one of our great bank or credit union partners. You may even get multiple offers to choose from to find the best auto loan you can have. More than anything else, the thing that makes Carl Black Kennesaw stand out is our customer service. Every person who works under the Carl Black banner is dedicated to giving you the best service possible. Sometimes, this means going above and beyond what you should expect from an average dealership. The most important quality to the service is personal attention. Since no customer is exactly the same, we take the time to get to know what you need or want from us before jumping into action. This means we won’t waste your time with models that do not fit the bill or try to sell you accessories and services you don’t need. Instead, we only focus on the things that really matter to you. If you come in knowing exactly what model you want, that’s the model we will present. If you need some time to research and test out different options, we will give you that time. We tailor our customer service to you and your unique situation. Our great customer service doesn’t stop after you have purchased the car from us as well. We value the relationship between a dealership and its customers. Therefore, we are here for you anytime you need anything automotive related. Bring your car back for regular maintenance and repairs anytime to get the best service experience from people who know how to take care of a GM vehicle. This is how we build long, fruitful relationships with our customers. the extra steps necessary to make sure you get what you need in a professional and timely manner. At Carl Black, our number one priority is customer satisfaction. From the models we offer to the services we can provide, everything we do is in the interest of our customers. If you want a new dealership experience that doesn’t leave you frustrated or wanting more, it’s time to come check out Carl Black today. All it takes is a phone call or email to get in touch with us. Check out the rest of our website to see our current inventory and list of services we can provide. For best results, visit our dealership in person to get face-to-face assistance. However you want to get in touch, there’s no time like the present to start.